Wood stoves use fire bricks to retain heat and protect the stove. To obtain optimal performance, you should replace any broken bricks or bricks that display cracks. Damaged fire bricks can be removed and replaced by hand without the use of an adhesive. Fire bricks are available through manufacturers' web sites and may also be found in wood stove shops and many home improvement centers. Open the wood stove door and remove any debris. Clean ashes out of the stove and remove the log grate. Pull any damaged fire bricks from the stove with your fingers. 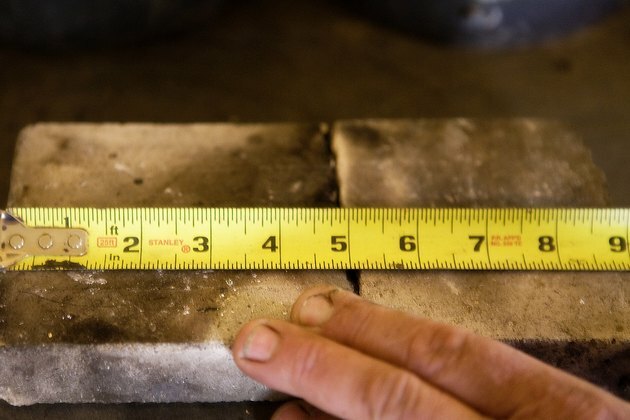 Measure the bricks carefully so you can replace them with bricks of the same size. Clean the empty area, thoroughly removing all debris. Brush out any broken pieces lodged under surrounding bricks with a small wire brush. Place the new fire brick into the empty space and push it into place. Place a block of wood over the brick and tap the wood with a rubber mallet to push the brick firmly into the opening.